Bala Krishna starrer Adhinayakudu is all set to hit the big-screens on 1st June and now, the actor has set his focus on his forthcoming film Aditya 999, a sequel to Aditya 369 to be directed by Singeetham Srinivasa Rao. While we have earlier informed that Anushka might play the leading lady in the film here is the latest buzz there are two more heroines in the film. 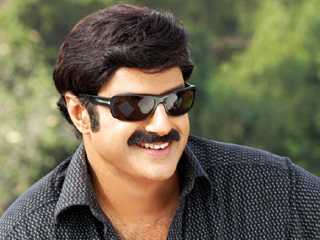 So, Bala Krishna is set to romance three heroines if sources are to be believed. The other two female leads are yet to be finalized. Vinod Suryadevara is producing the sequel version while Konda Krishnam Raju is the presenter. Jayanan Vincent is cranking the camera for the film while Mani Sharma is zeroed in for composing the musical scores.